There are many types of filling materials available, each with their own advantages and disadvantages. 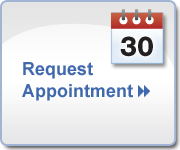 You and Dr. Austria can discuss the best options for restoring your teeth. Bonding is a resin that is used in the front or back teeth to restore decayed teeth, lighten stains, close minor gaps or correct crooked teeth. A tooth is prepared through light etching on its surface, and a bonding resin is placed on top. The tooth is bonded, sculpted, colored and shaped to improve your smile. Once cured with a high-intensity curing light, the surface is polished. Tooth bonding is convenient, often completed in one visit, and can significantly improve the appearance of a tooth. Bonding typically lasts three to five years, or even longer before need of repair.